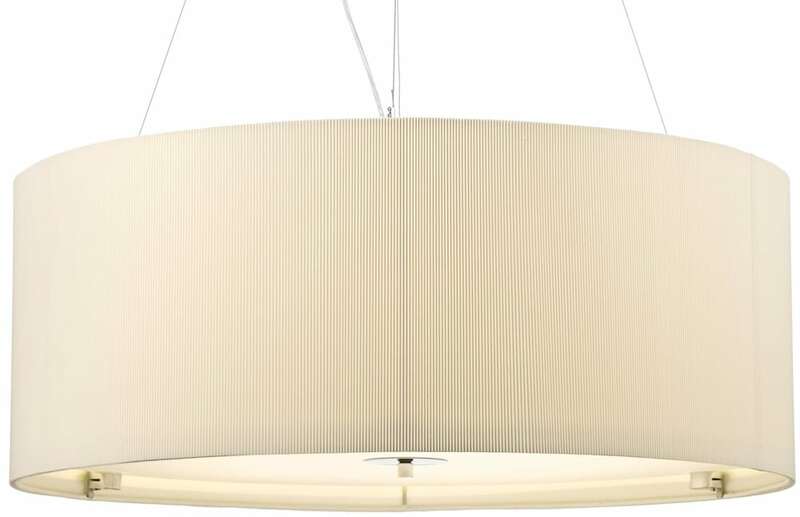 A very large cream pleated cotton circular drum 6 light ceiling pendant, with circular opaque glass diffuser on the underneath for a soft mellow light. 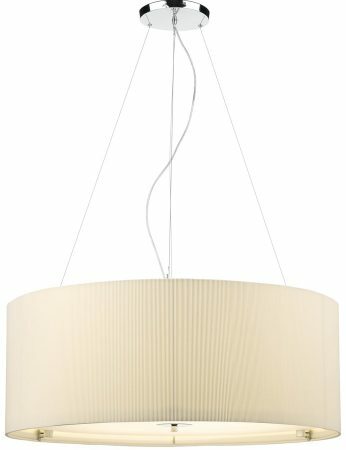 A 90cm cream drum lamp shade, with clear flex and adjustable wire suspension. 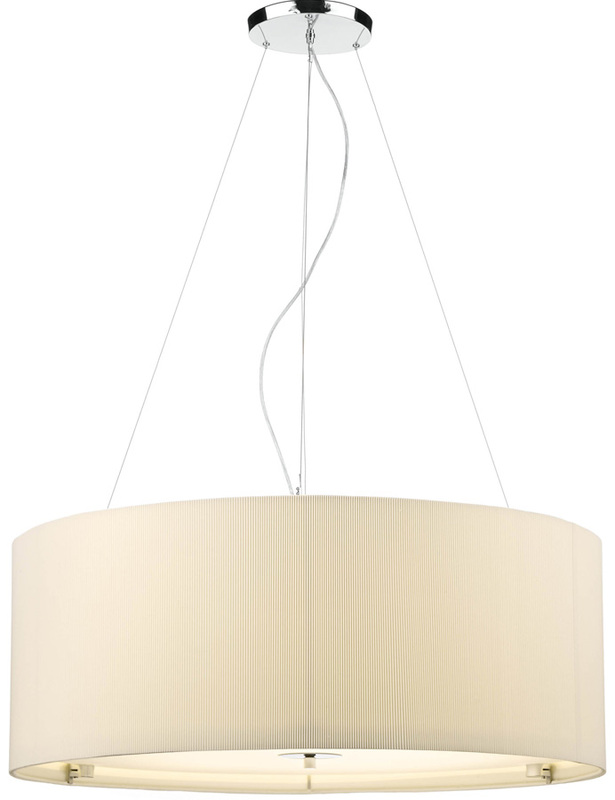 The perfect ceiling light for over the modern breakfast bar or dining table. Supplied with 250cm of suspension and height adjustable at the time of fitting, minimum height 50cm, maximum height 300cm.